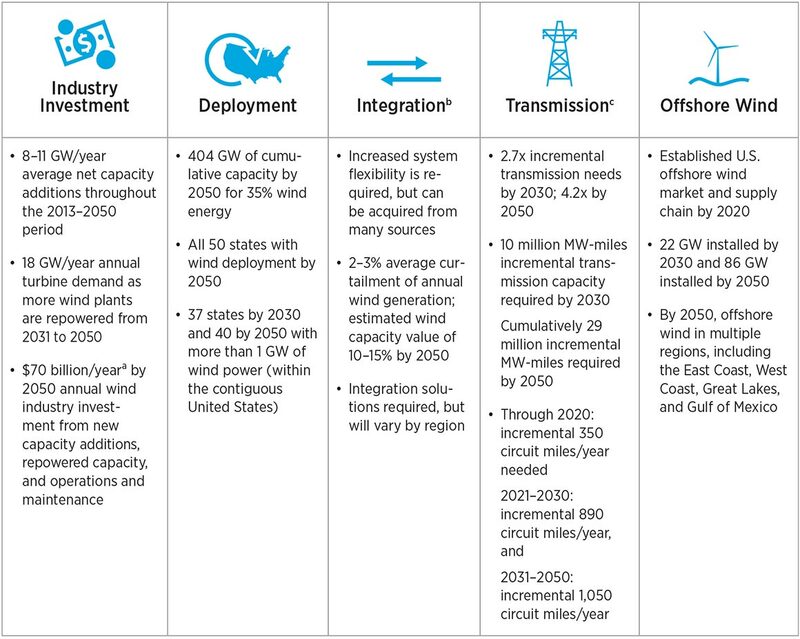 The Wind Vision report updates the Department of Energy's 2008 20% Wind Energy by 2030 through analysis of scenarios of wind power supplying 10% of national end-use electricity demand by 2020, 20% by 2030, and 35% by 2050. With about 6% of the nation's electricity supplied by wind energy today, the Department of Energy has collaborated with industry, environmental organizations, academic institutions, and national laboratories to develop a renewed Wind Vision documenting the contributions of wind to date and envisioning a future in which wind continues to provide key contributions to the nation's energy portfolio. Building on and updating the 2008 20% Wind Energy by 2030 report, the Wind Vision report quantifies the economic, environmental, and social benefits of a robust wind energy future and the actions that wind stakeholders can take to make it a reality. 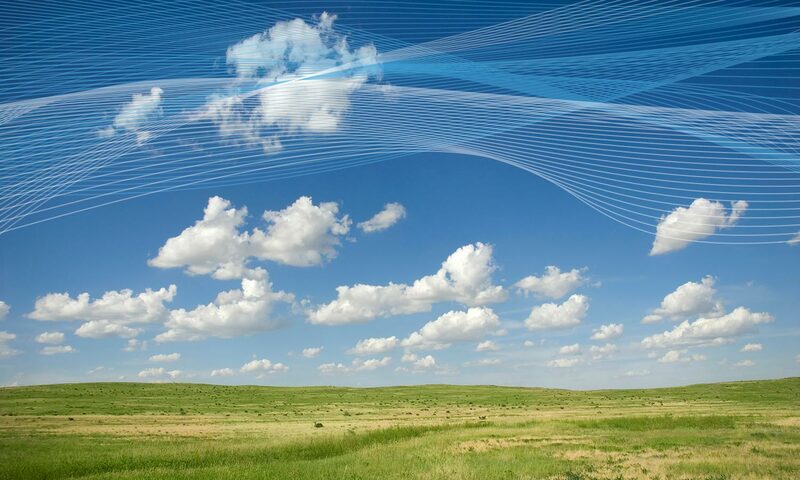 Learn more about the U.S. Department of Energy Wind Energy Technologies Office. Wind power is one of the fastest-growing sources of new electricity supply and the largest source of new renewable power generation added in the United States since 2000. At the same time, low natural gas prices, low wholesale electricity prices, and reduced demand for electricity since 2008 are impacting investments for all new electric generation. In this context, the U.S. Department of Energy initiated the Wind Vision analysis. At its core, the Wind Vision is intended to inform a broad set of stakeholders—including the industry, policymakers, and the public—on the implications of continued U.S. wind deployment. The Wind Vision assesses future wind power growth using a Business-as-Usual framework and sensitivities on key variables such as wind power costs, fossil fuel prices, and electricity demand. This evaluation assists in identifying a credible scenario for further analysis of costs and benefits and in highlighting future actions that could support continued wind growth. The Wind Vision Study Scenario applies a trajectory of 10% of the nation's end-use demand served by wind by 2020, 20% by 2030, and 35% by 2050. The Baseline Scenario applies a constraint of no additional wind capacity after 2013 (wind capacity fixed at 61 GW through 2050). This allowed the team to identify and quantify impacts for all future wind deployment. The Business-as-Usual Scenario does not prescribe a wind future trajectory but instead models wind deployment under policy conditions current on Jan. 1, 2014. 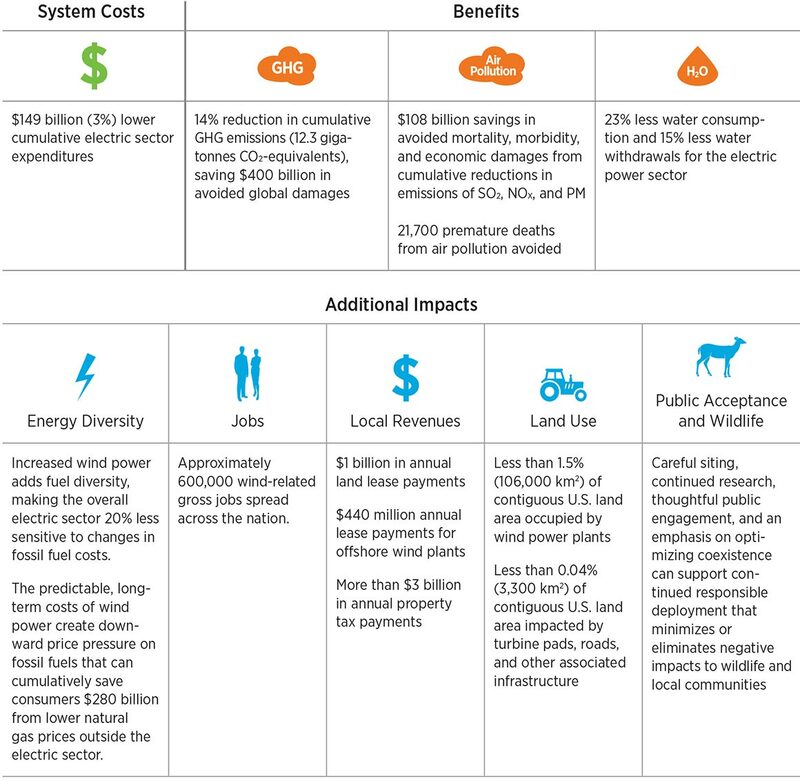 At the core of the Wind Vision is an assessment of costs, benefits, and impacts from wind deployment. This requires a future scenario, called the Wind Vision Study Scenario, and a Baseline Scenario. The Study Scenario is based on the Business-as-Usual Scenario and related sensitivity analyses, with bounds based on wind power cost reduction, high fossil fuel prices, or a combination of both. 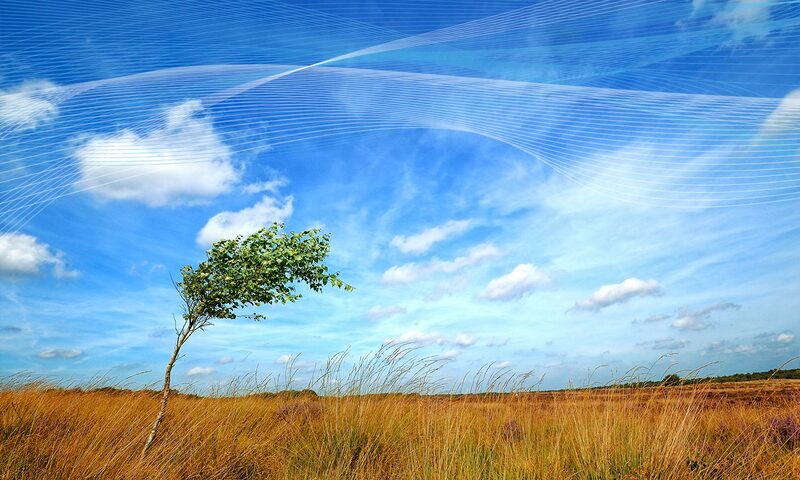 The Wind Vision Study Scenario was identified as a credible scenario that extends wind deployment trends, leverages the domestic wind industry manufacturing base, and complements the broader literature. 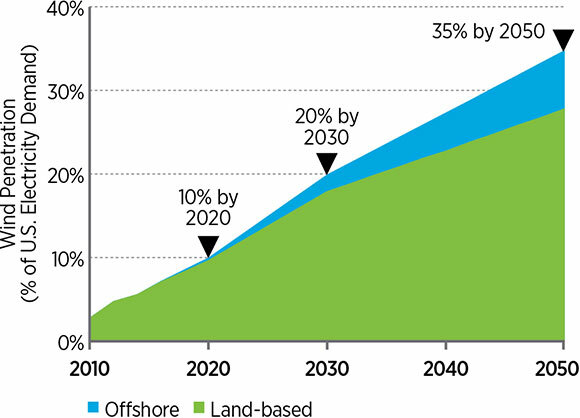 The Study Scenario is represented by wind power penetration levels of 10% by 2020, 20% by 2030, and 35% by 2050. 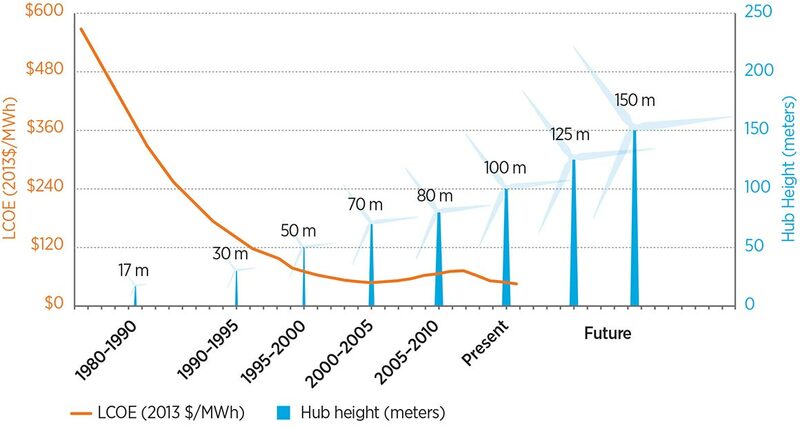 Impacts from the Study Scenario are compared to a Baseline Scenario in which wind capacity is fixed at 2013 levels. This allowed the team to identify and quantify impacts for all future wind deployment. Wind power is a mainstream power source in the U.S. electricity portfolio, supplying 6% of U.S. electricity demand. Since 2008, the wind industry has scaled its domestic manufacturing capacity and driven down wind power costs by more than one-third. With more than 82 GW installed across 41 states, utility-scale wind power is a cost-effective source of power generation. In the U.S., new investments in wind plants averaged $13 billion/year between 2008 and 2013. The import share of selected large wind equipment declined from 80% in 2006–2007 to 30% in 2012–2013, and the levelized cost of energy from wind in good to excellent resource sites declined by more than one-third from 2008 to 2013. Low natural gas market prices and their impacts on wholesale electricity prices, along with low energy growth since 2008 and a lack of stability in federal policy (such as the production tax credit), have influenced wind power deployment. New investments in wind can support domestic employment in an array of fields, including construction, engineering, transportation, manufacturing, and operations and maintenance. These new investments may also spur increased local economic activity as construction increases demand for retail goods and services in project host communities and long-term operations support new revenues in the form of land lease and property tax payments. 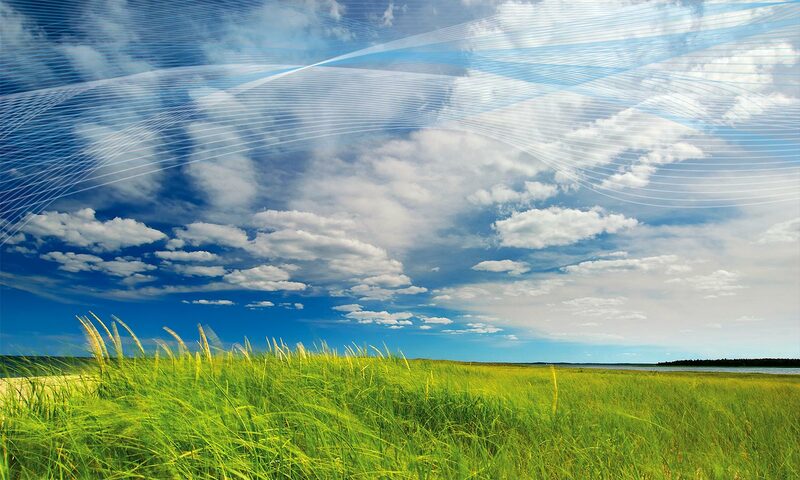 Nationally, wind deployment delivers public health and environmental benefits, including reduced greenhouse gas emissions, reduced air pollutants, and reduced water consumption and withdrawals. Continued advancements and scale-up of turbine technology have helped reduce wind power costs and enable broader geographic deployment of wind power. 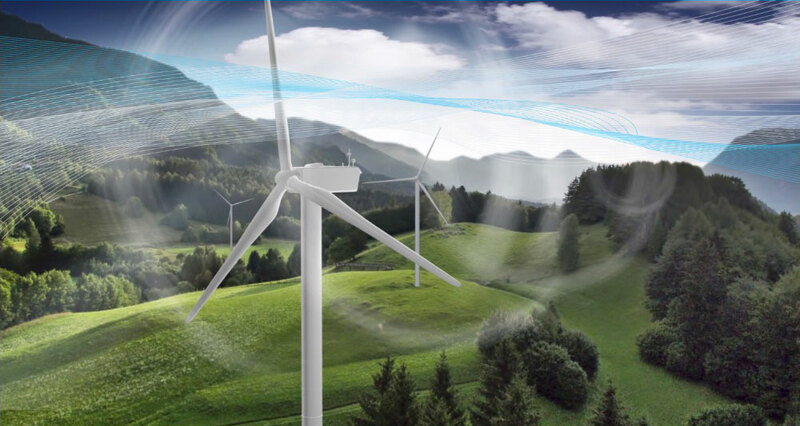 Technology advancements now center on complementing larger wind turbines with enhanced siting strategies and advanced control systems for arrays of turbines. Provided domestic demand remains stable, domestic manufacturing could continue to expand. 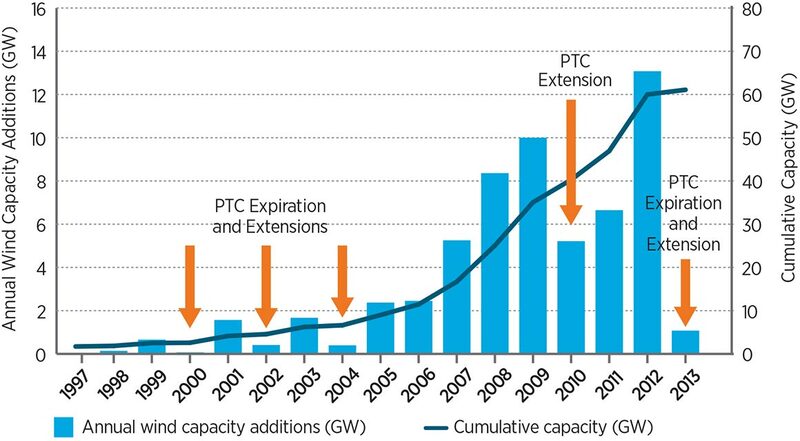 From 2008 to 2013, wind power installations expanded in geographic deployment and cumulative capacity. 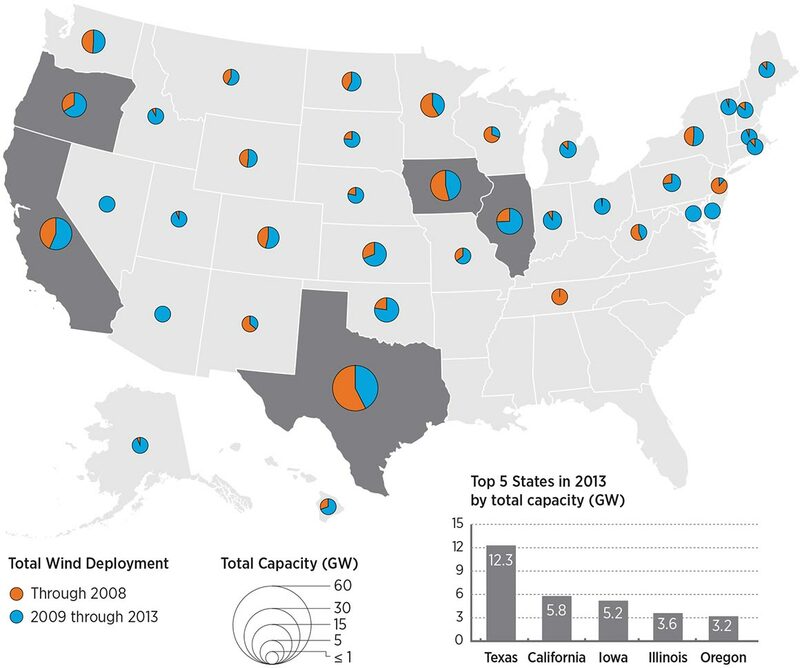 Wind power contributed 4.5% of U.S. electricity demand in 2013 and operated in 39 states. To encourage future growth, collaborative groups are addressing issues from permitting and environmental oversight to manufacturing and workforce training. The wind power community has addressed substantive siting and regulatory issues and continues to work to streamline regulatory processes. The Wind Vision shows that, although electricity rates increase by 1% between 2020 and 2030, the Central Study Scenario results in a net savings of $149 billion relative to the Baseline Scenario for the period of 2013–2050. Savings are incurred from 2031 to 2050 as fossil fuel prices trend upward and aging power infrastructure requires replacement. Increasing wind generation to the levels of the Study Scenario simultaneously reduces carbon dioxide emissions, improves air quality resulting in lower levels of illness and premature loss of life, and reduces demand on water resources. In the Central Study Scenario, total installed wind capacity increases from 61 GW at year-end 2013 to 113 GW by 2020, 224 GW by 2030, and 404 GW by 2050. The Study Scenario supports new capacity additions at levels comparable to the recent past but drives increased demand for new wind turbine equipment as a function of repowering needs. The Study Scenario suggests continued geographical diversity in wind power deployment. Relative to the Baseline Scenario, the Central Study Scenario results in an approximately 1% increase in retail electricity rates in the near-term (2020) to mid-term (2030) but cost savings by 2050. On a cumulative net present value basis, the long-term system cost reductions outweigh near- and mid-term cost increases across most conditions. On an annual basis, impacts on consumers are estimated to include costs of $2.3 billion compared to the Baseline Scenario in 2020, costs of $1.5 billion in 2030, and savings of $13.7 billion in 2050. The Central Study Scenario results in a 16% reduction in carbon dioxide emissions by 2030 and 23% by 2050 from the electricity sector relative to the Baseline Scenario. Other air pollutants affecting public health also decrease, and water savings accrue in many regions. Other impacts include reduced sensitivity to future fossil fuel price volatility, support for a vibrant wind industry supply chain, and increased tax revenue and lease payments to local communities. In addition, the Study Scenario results in manageable but non-trivial impacts to land use, local wildlife populations, and host communities. The Wind Vision includes a detailed roadmap of technical and institutional actions necessary to overcome the challenges to wind power making a significant contribution to a cleaner, low-carbon, domestic energy economy. Optimizing wind contributions requires coordination among parties that can implement a set of complementary approaches around three themes. The list of detailed roadmap actions, which was published as Appendix M of the Wind Vision in 2015, was updated in 2017. The Wind Vision indicates that the costs associated with the Study Scenario can be reduced with wind cost reductions. Accordingly, reductions in the levelized cost of energy are a priority focus. This theme includes actions to reduce capital costs; reduce annual operating expenses; optimize annual energy production and reduce curtailment and system losses; reduce financing expenses; reduce grid integration and operating expenses; and reduce market barrier costs. Continuing declines in wind power costs and improved reliability are needed to improve market competition with other electricity sources. Levelized cost of electricity reduction trajectory of 24% by 2020, 33% by 2030, and 37% by 2050 for land-based wind power technology and 22% by 2020, 43% by 2030, and 51% by 2050 for offshore wind power technology to substantially reduce or eliminate the near- and mid-term incremental costs of the Study Scenario. Expansion of wind power into high-quality resource areas is important for realizing the Study Scenario at cost levels described in Wind Vision. Key activities in this theme include actions to expand transmission; responsibly expand developable geographic regions and sites; improve the potential of low-wind-speed locales; improve the potential of ocean and Great Lakes offshore regions; improve the potential in areas requiring careful consideration of wildlife, aviation, telecommunication, or other environmental issues; and improve the potential of high wind resource locations that have poor access to electricity transmission infrastructure. Continued reduction of deployment barriers as well as enhanced mitigation strategies to responsibly improve market access to remote, low-wind-speed, offshore, and environmentally sensitive locations. Wind deployment sufficient to enable national wind electricity generation shares of 10% by 2020, 20% by 2030, and 35% by 2050. The Wind Vision Study Scenario projects substantial benefits for the nation, but additional steps are needed to ensure these benefits are realized and maximized. This theme includes actions to provide detailed and accurate data on costs and benefits for decision makers, grow and maintain U.S. manufacturing throughout the supply chain, train and hire a U.S. workforce, provide diversity in the electricity generating portfolio, and provide a hedge against fossil fuel price increases. The overall aim is to ensure that wind power continues to provide enduring value for the nation. 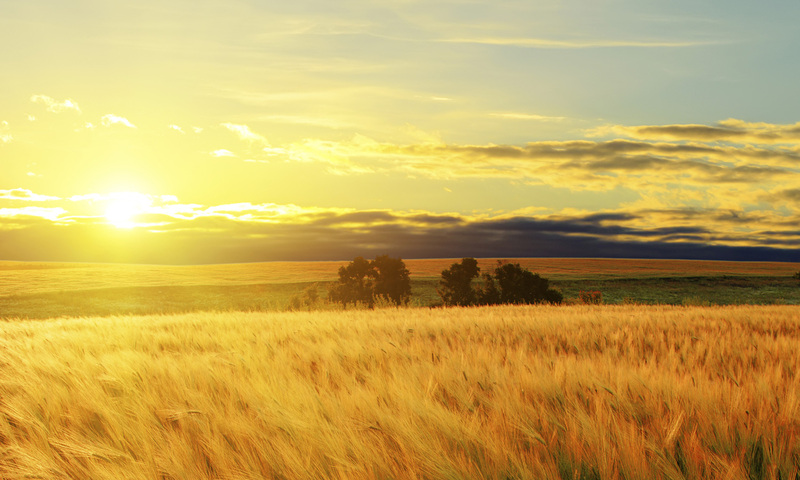 Capture the enduring value of wind power by analyzing job growth opportunities, evaluating existing and proposed policies, and disseminating credible information. A sustainable and competitive regional and local wind industry supporting substantial domestic employment. 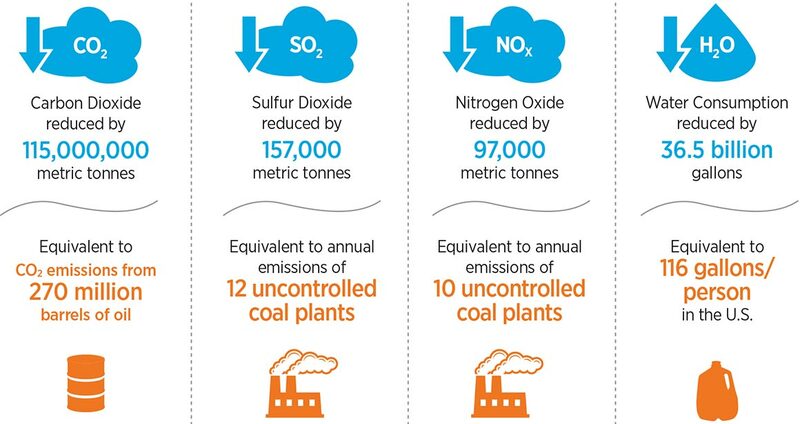 Public benefits from reduced emissions and consumer energy cost savings. See the data from the Wind Vision Report in various scenarios with the OpenEI Study Scenario Viewer.